The snow is whiter and more powdery than anywhere else in the world, the sun shines more beautifully and the vegetation is richer than in any other place on Earth. 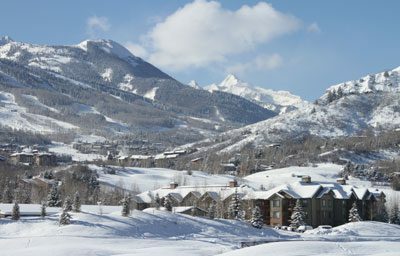 The state is world-famous for its skiing opportunities, so if you are a skier, you will surely be fascinated by the 54 peaks in the state, most of which have skiing trails for any skill level. The state is not only for skiers, though – there are hundreds of hiking trails available and the enthusiasts of outdoor sports can enjoy a variety of activities from rafting and ziplining to biking, climbing and horseback riding. The Colorado economy is flourishing, with numerous industry segments, including hospitality, healthcare, manufacturing, construction and engineering experiencing unprecedented growth. This favorable economic environment means a growing job market as well – whatever your profession, you can surely find a great job in Colorado. Colorado is also well-known for its chilies and for its craft beer. The state is home to the Great American Beer Festival, organized with the participation of over 400 breweries and offering almost 2,000 different brews, many of them locally made.